In April, the Local Government Association issued a report which stated that around 100 children a day were being admitted to hospital for operations to remove rotten teeth. Now, data from NHS Digital shows that almost five million children did not visit an NHS dentist in 2015/16 – an increase of 40 per cent on the year before. I continue to be greatly troubled by the state of children’s oral health in this country. I think it is a national outrage that the Local Government Association report showed that 40,970 surgical procedures were carried out on children for their teeth in 2014-15 at a cost of £35 million, all to address a health problem which is entirely preventable. One has to ask the question: would the powers that be, be so sanguine if that many children were being admitted to hospital to have any other body part surgically-removed? 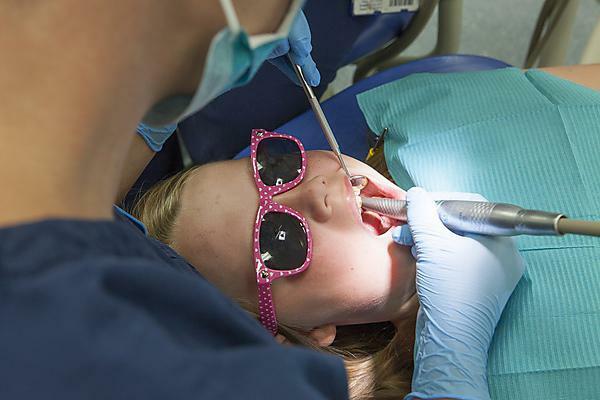 The data from NHS Digital headlines with the statistic that more than 40 per cent of children and teenagers under the age of 18 did not visit an NHS dentist in the past year. We can all agree that this is suboptimal and at worst reflects a lack of concern for children’s oral health, but in many ways I think it is a red herring. Of course children should visit their dentist to have their oral health monitored and to receive treatment of necessary, but I believe that the emphasis should be on preventing oral disease in children. Oral disease is wholly preventable and prevention should be a priority for oral and public health providers. It is my belief that oral health needs to be a seamless part of the community health offering. We recently received a grant from the Medical Research Council to investigate the effectiveness of embedding a dental nurse in the Family Nurse Partnership Programme. The Programme supports and advises young mothers and we believe that including a dental nurse as part of its offering will help to improve children’s oral health. Two years ago I played a role in the development of NICE guidelines around children’s oral health care, especially in encouraging local authorities, schools and nurseries to support children, parents and carers. With the right support and advice there is plenty that can be done at home to assist children’s oral health. Limit the amount of sugary and acidic foods and drinks children consume and try tooth friendly snacks like cheese, fruit and vegetable sticks, breadsticks, marmite or butter on toast, rice cakes, or a bowl of non-sugary cereal with milk. Drink only water at night and keep sweets, cakes, fizzy drinks and other 'treats' for pudding or as part of a meal. Supervise children while they brush their teeth for two minutes twice a day and do this until they are seven years old. Always last thing at night and then at one other time during the day (lots of people choose first thing in the morning – this should be before breakfast). Use a fluoride toothpaste, a small amount about the size of a pea. Use a toothbrush with a small head and spit, don’t rinse. Replace a child’s toothbrush regularly. A three-month old toothbrush is 30 per cent less effective at removing plaque than a new one. We should all be shocked by the data published by NHS Digital, but visits to the dentist are only part of the story when it comes to improving our children’s oral health. In an ideal world a prevention strategy which is easy to follow at home, at nursery and at school should greatly reduce oral disease in children and make a visit to the dentist about monitoring, advice and support, rather than invasive and potentially distressing treatment.